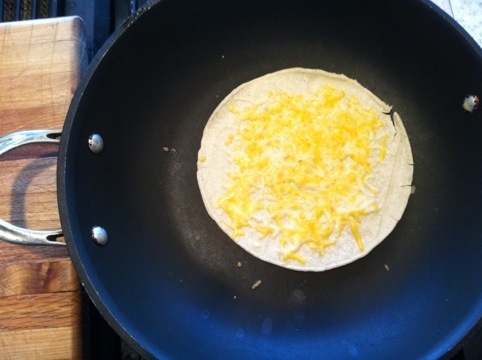 Melt a small handful of cheese on each corn tortillas and set them aside. Pour as much fresh kale as you can into your favorite fry pan (that has a tight fitting lid). 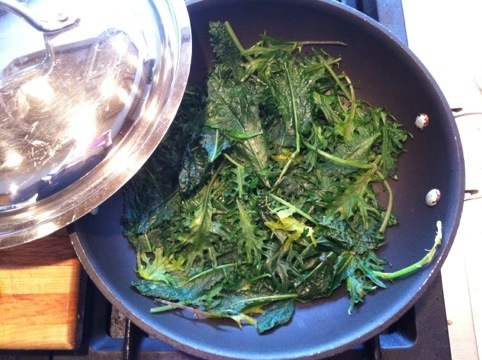 With pan on medium high heat, add 1 Tablespoon water to fresh kale, put on lid, and steam kale until wilted. 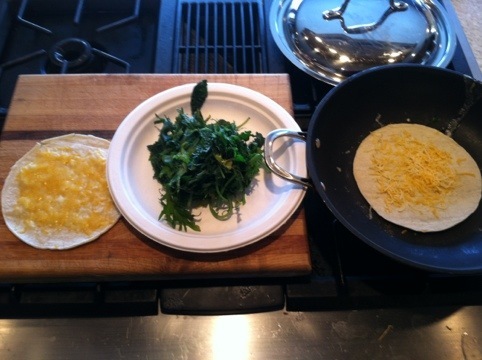 Once kale is wilted, set it aside and return one of the open faced cheese/corn tortillas to the pan. 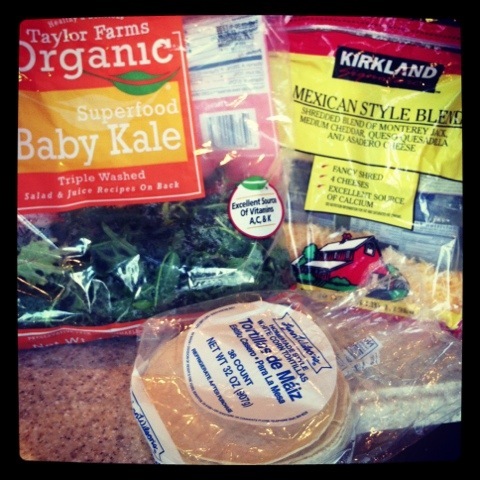 Top tortilla with kale and add second tortilla, cheese side down. 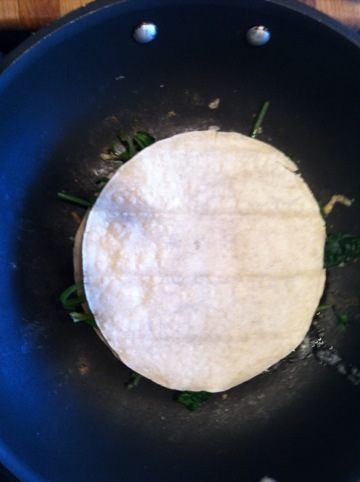 Once all of the cheese and kale melt together, remove from pan and plate. 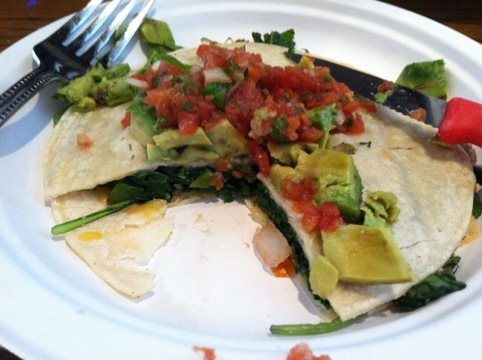 Top with fresh salsa and avocados. Eat with a cold diet coke and while you watch your children chow down on PB & J’s. Sorry, but you deserve a nicer lunch than they do. I love the comment about the comment cards at Costco. I was just complaining to Mike yesterday that I had gone to Costco to get kale and they didn’t have any. It ruined all my culinary plans for the day!! I was wondering as I was reading how you were getting your kids to eat kale. They’ll do it for dinner once in awhile, but for lunch? Then I got to the PB&J part and cracked up. You made my evening. Miss you! Can’t wait to see you this summer. It’s going to happen – between me coming to Utah twice and a lovely wedding I know that we’re going to get some good time in! xoxo!